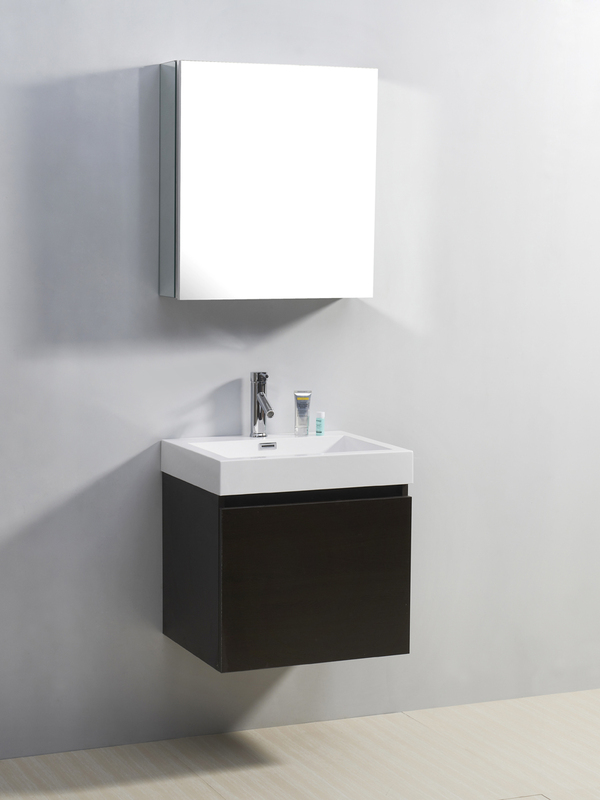 With its dark and handsome Wenge finish and innovative design, the 22.5" Zuri Single Bath Vanity can completely transform the look of your bathroom. Its cabinet is constructed from plywood and composite with melamine for a glossy finish that's available in three spectacular finishes. 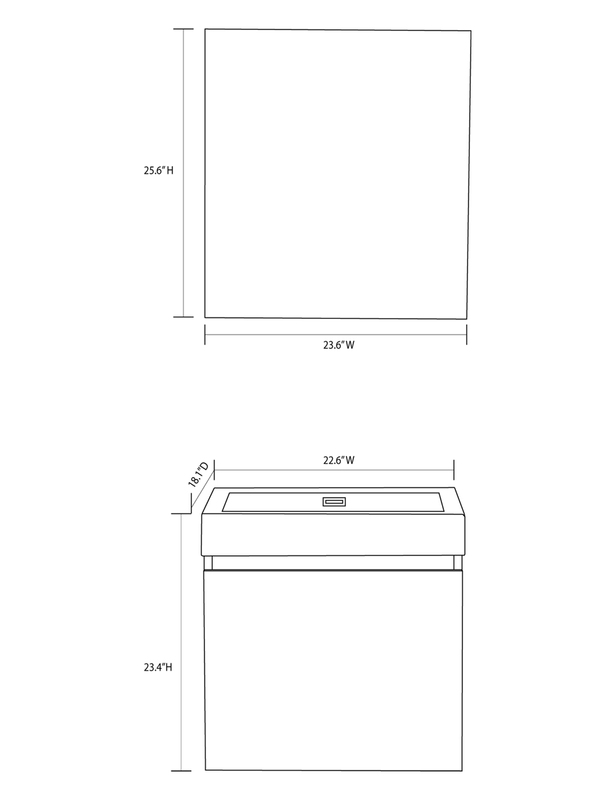 A single pull-out drawer opens up to reveal another smaller drawer to give you two compartments of storage space. 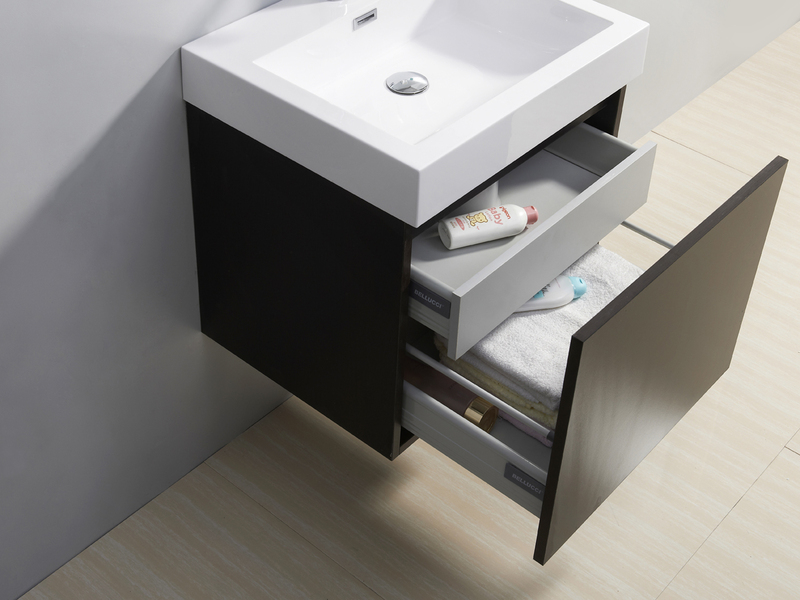 Each of these drawers are equipped with BELLUCCI soft-closing glides for enhanced durability. 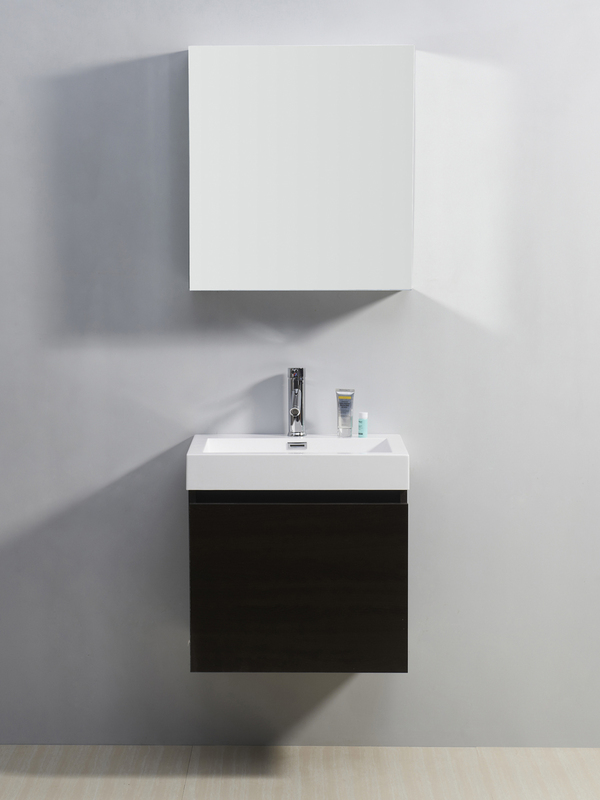 The top is composed of a high-gloss polymarble and features an integrated sink top design. It also comes with a Chrome single-hole faucet. 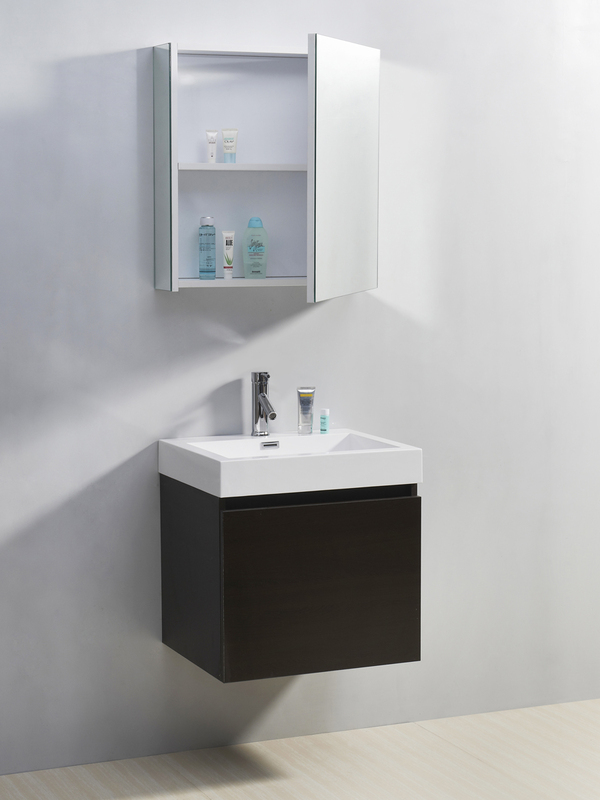 To top it off, the Zuri Vanity also comes with a mirrored medicine cabinet that opens up to reveal two tiers of storage space!